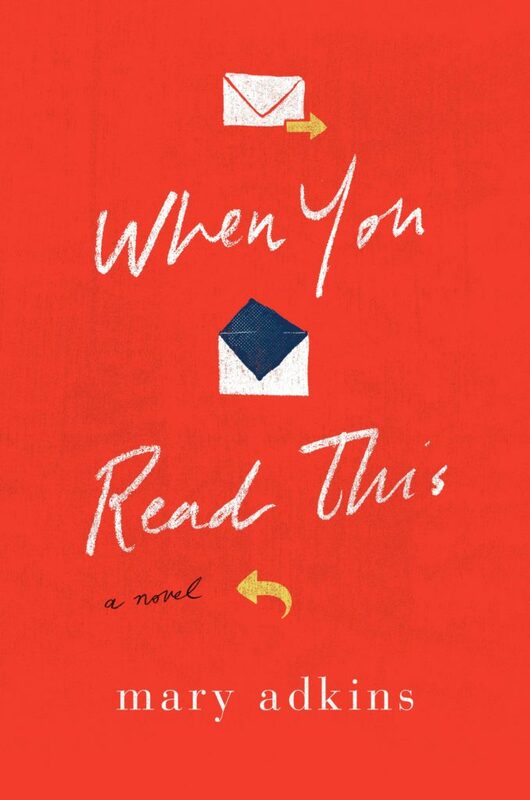 When You Read This by Mary Adkins is a modern epistolary novel told through emails, texts and blog posts. Smith Simonyi is a PR executive who has recently lost his assistant, Iris, to cancer. Iris had written a blog for a community for dying people, and he discovers after her death that she wanted him to have her blog published. He reaches out to publishers to gauge interest in her blog, while also starting up a correspondence with her sister, Jade, who is still deeply grieving and unwilling to open her sister’s writing up to the public. Most of When You Read This is made up of emails between Jade and Smith, blog posts by Iris, and correspondence between Smith and his clueless college student intern and his increasingly frustrated clients. As Jade and Smith get to know each other better and Smith confronts some of his own issues, including his relationship with his paralyzed mother and his gambling addiction, the reader also gets an appreciation of what Iris meant to both of them and the guilt they each feel about her death. When You Read This is a pretty fast read. It’s a little quirky and at times pretty funny (I don’t usually laugh out loud when I read, but I did several times while reading it), but also quite poignant. Iris’ blog entries are honest and sad, as she comes to terms with the end of her life at age 39. There is also a voyeuristic element to the book, as you know you’re reading things you’re not supposed to be privy to. When You Read This is a realistic look at grief and relationships, with a modern, updated feel, thanks to its format. I picked it up at the recommendation of a few bloggers and I am glad I did. Posted on March 24, 2019 by gayle. This entry was posted in 2019 EDIWTB Reading Challenge, Fiction and tagged debut novel, mary adkins, when you read this. Bookmark the permalink. Catherine loved this one too! I’m downloading it for Spring Break next week! I’m liked you liked it. It was one of those ‘right time, right book’ novels for me. Even just reading your review makes me want to read it again!